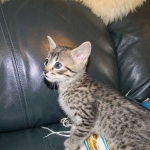 This beautful male egyptain mau kitten will be ging to Lee in MA. This precious boy is going to Lee in MA. We originally believed this boy to be a dark silver with tarnish but suprise he has turned into a really nice cool bronze. 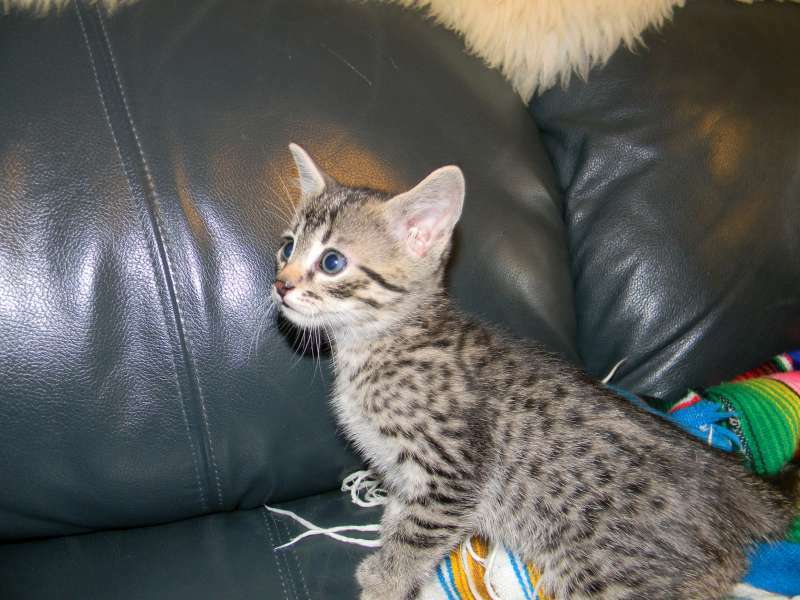 He is looking for his forever home and will make a fabulous pet!